Mrs. Abbott made this three-minute video for her class. She found the song "Figurative Language" on iTunes. The group who sings it is 'Rhythm, Rhyme, Results'. Dec. 2 - The dangers of a rapid slowing of China's property boom can be found in the Inner Mongolian city of Ordos, where new apartment blocks stand empty as real estate prices slump. Andrew Potter reports. Teens fall for "promises" from people they first "meet" online. This is only 40 seconds long, but carries a strong message. 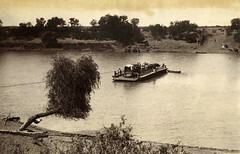 Description: 'Photograph of Wire Pont Ferry, Vaal River.' 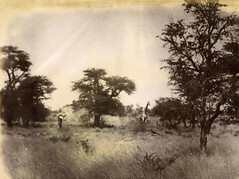 Author of work: Lulu Farini.